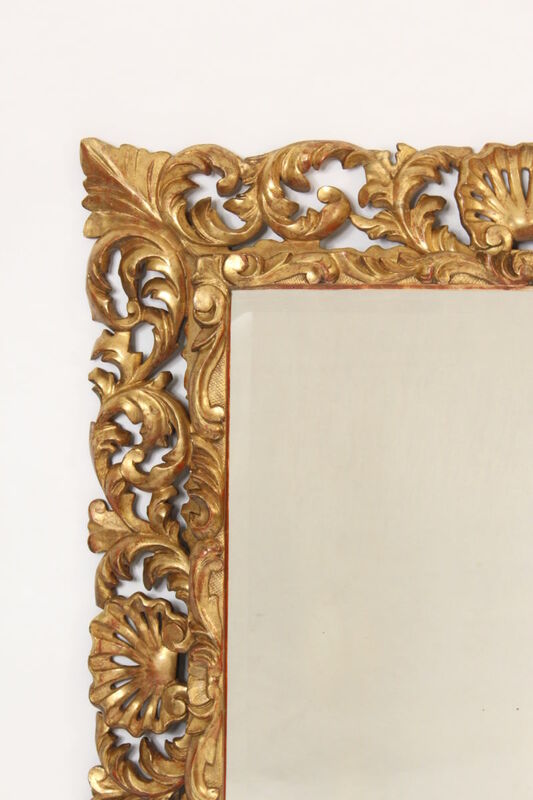 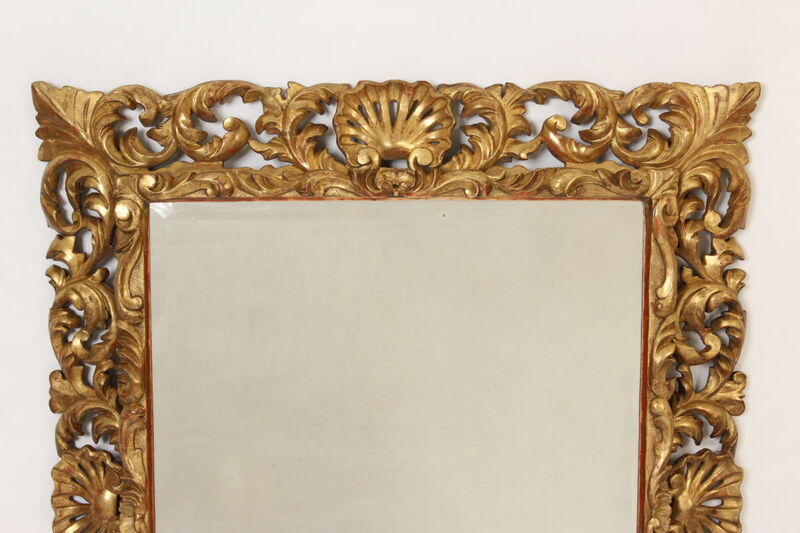 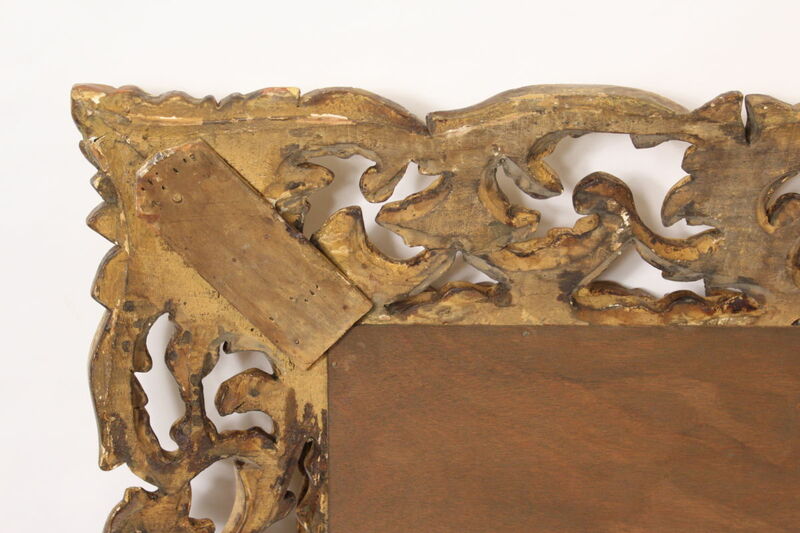 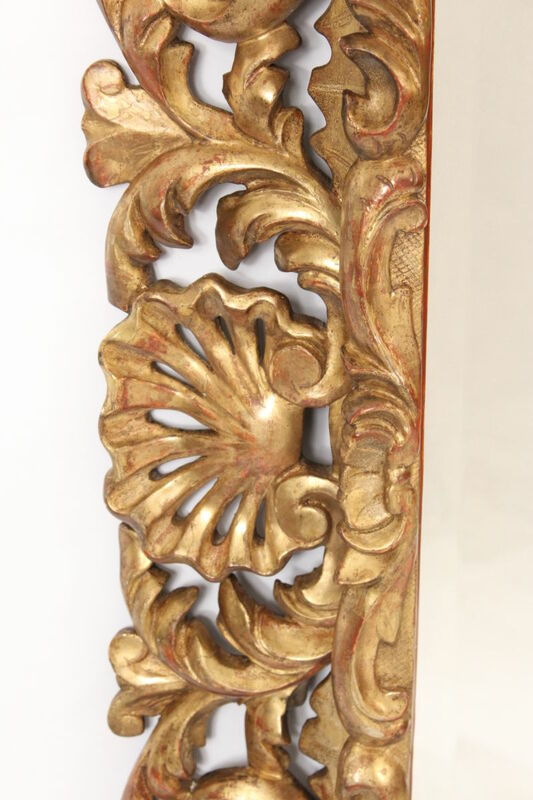 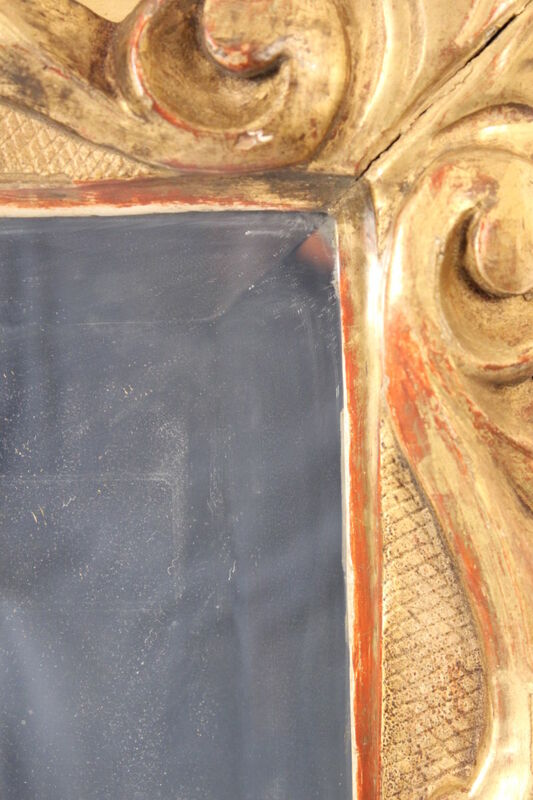 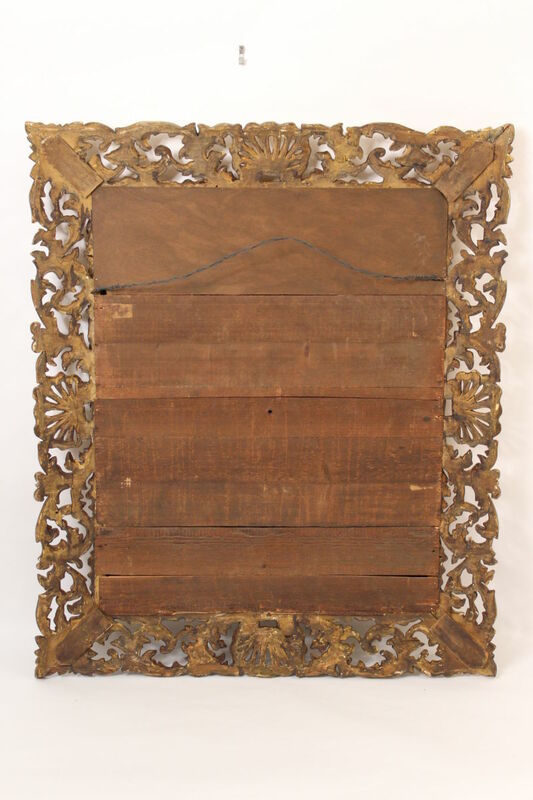 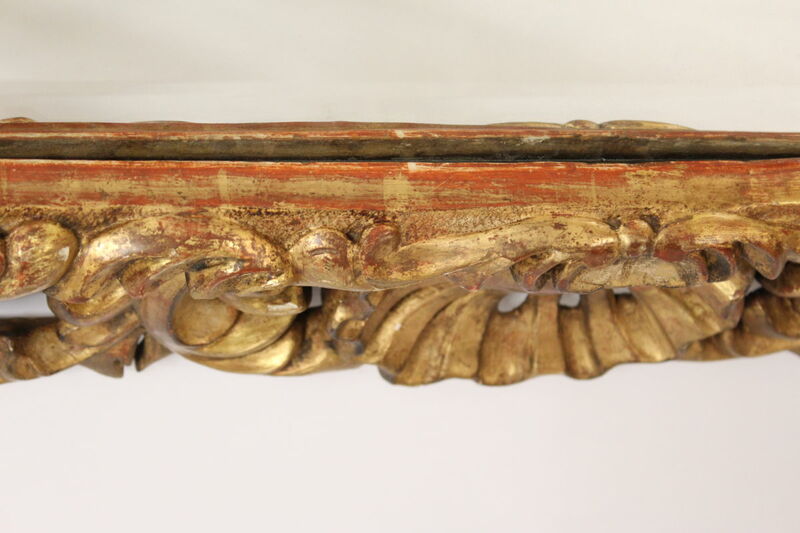 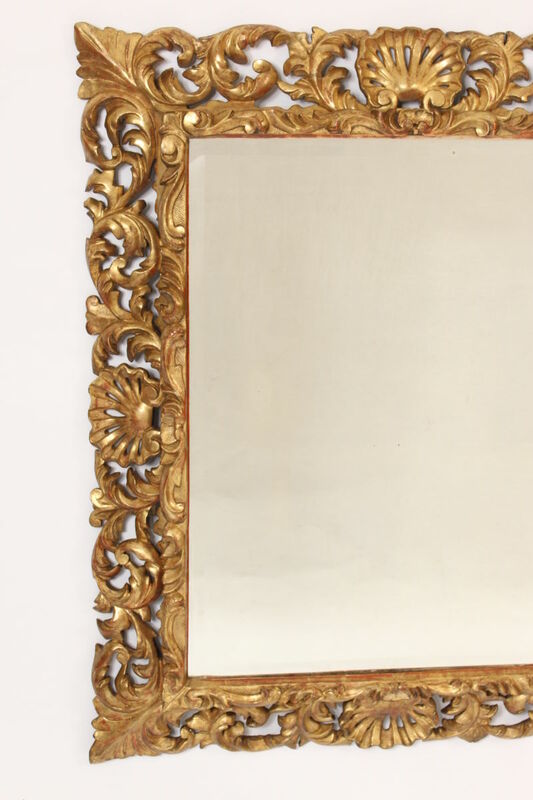 Antique baroque style gilt wood mirror, 19th century. 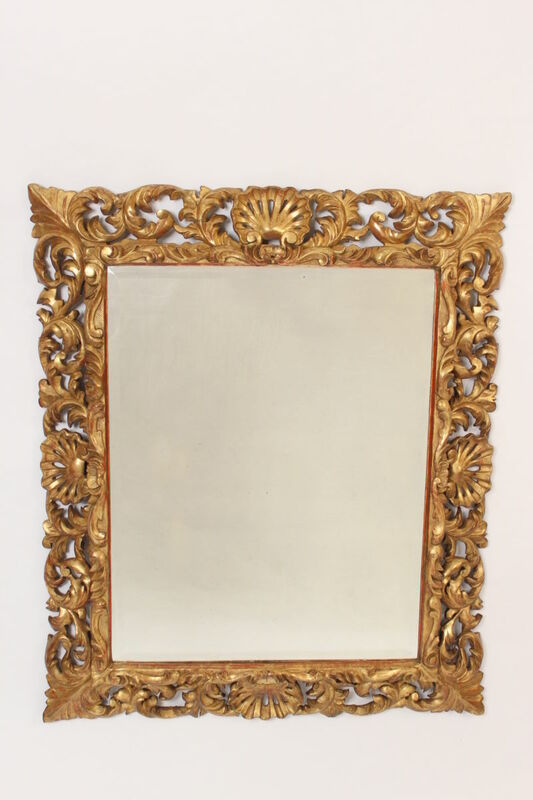 This is one of the better mirrors that we have had in the past 5 years. 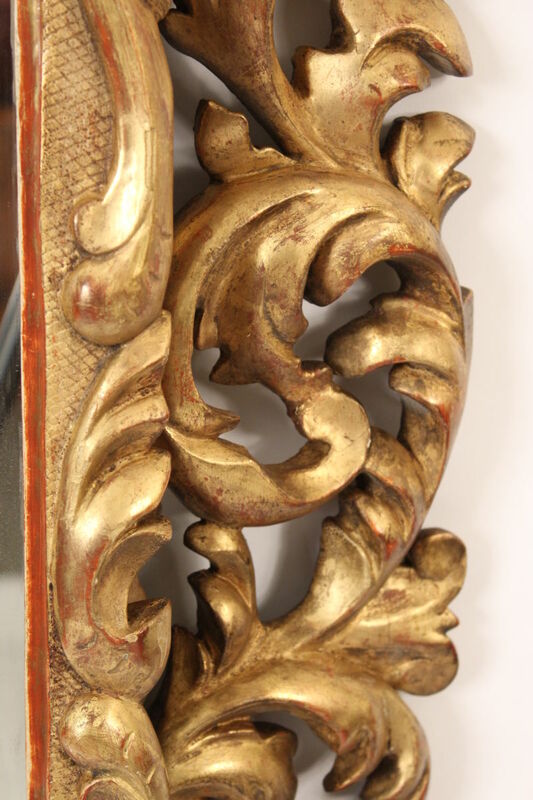 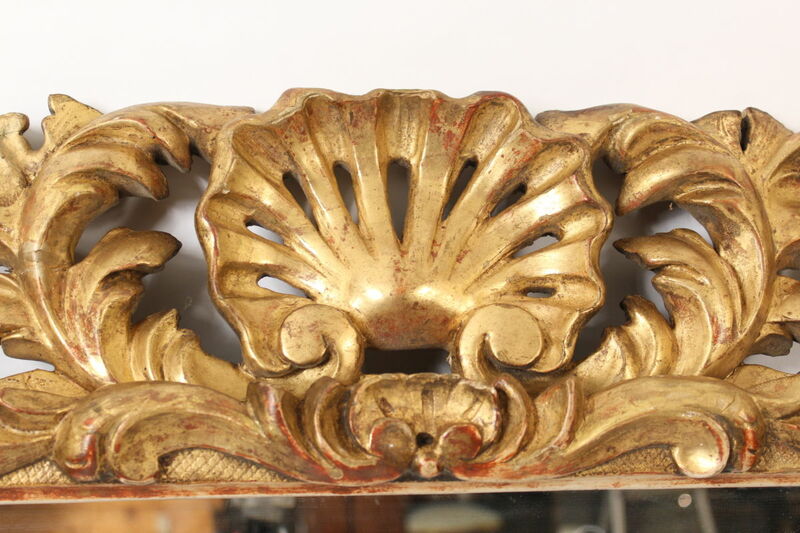 Great old gold leaf decoration and deep shell and foliage carvings.